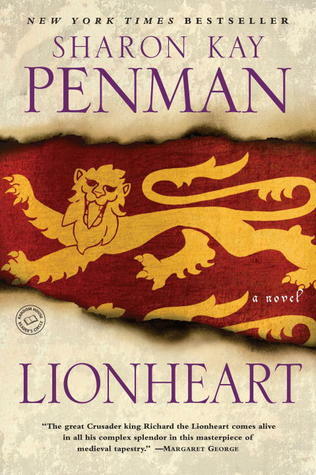 From the "New York Times"-bestselling novelist, a stunning story of a great medieval warrior-king, the accomplished and controversial son of Henry II and Eleanor of Aquitaine: Richard, Coeur de Lion. They were called "The Devil's Brood," though never to their faces. They were the four surviving sons of Henry Plantagenet and Eleanor of Aquitaine. With two such extraordinaryFrom the "New York Times"-bestselling novelist, a stunning story of a great medieval warrior-king, the accomplished and controversial son of Henry II and Eleanor of Aquitaine: Richard, Coeur de Lion. They were called "The Devil's Brood," though never to their faces. They were the four surviving sons of Henry Plantagenet and Eleanor of Aquitaine. With two such extraordinary parents, much was expected of them. But the eldest-charming yet mercurial-would turn on his father and, like his brother Geoffrey, meet an early death. When Henry died, Richard would take the throne and, almost immediately, set off for the Holy Land. This was the Third Crusade, and it would be characterized by internecine warfare among the Christians and extraordinary campaigns against the Saracens. And, back in England, by the conniving of Richard's youngest brother, John, to steal his crown. In "Lionheart," Sharon Kay Penman displays her remarkable mastery of historical detail and her acute understanding of human foibles. The result is a powerful story of intrigue, war, and- surprisingly-effective diplomacy, played out against the roiling conflicts of love and loyalty, passion and treachery, all set against the rich textures of the Holy Land.